It’s that time of year again. Love is in the air as candied hearts and boxes of chocolates pack the shelves. This year Valentine’s Day falls in the middle of the Winter Olympics. Maybe you and your sweetheart are looking to celebrate love as you continue to cheer on the international athletes. We have the perfect dessert for you! Cheesecake is believed to have been served at the very first Olympics in 776 BCE. A classic and romantic dish, we’re giving you a recipe with ancient roots. The Greeks passed their recipe on to the Romans who developed the recipe below, called Savillum or Libuma. Just in case your love prefers a more modern chocolate covered truffle cheesecake, we’re including a delicious recipe for that as well. When the Greeks gathered at Olympia in 776 BCE to compete in the world’s first Olympic Games, they made sure cheesecake was on hand for all of the athletes because it was believed to be a good source of energy. 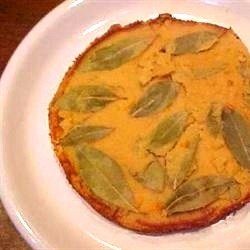 Unlike our modern versions, Greek cheesecake was made from three simple ingredients: wheat flour, honey and cheese. Interestingly, evidence for the production of cheese dates all the way back to 2,000 BCE on the Greek island of Samos where archaeologists uncovered cheese molds. When the Romans conquered the Greeks, they inherited the cheesecake recipe and modified to make it truly Roman. Adding eggs and crushed cheese, it became a sacrificial cake offered to the household spirits. The writings of Marcus Cato, a first century BCE Roman politician, provide us with the original Roman cheesecake recipe and indicate it was to be served warm. As the Romans marched across Europe, they brought cheesecake with them. Each culture adopted and then adapted the recipe based on their own culinary style. After years of alteration, Henry VIII’s chef put his own spin on the ancient dessert, cutting the cheese into very small pieces that he soaked in milk for three hours before straining and adding eggs, butter and sugar. In the 18th century, yeast was removed from the mix, which brought the cake closer to what we know and love today. Finally, in 1872 American dairyman William Lawrence invented cream cheese and it became a staple in modern cheesecake. So whether you choose to indulge in the ancient Roman Savillum or delight in the sweet and modern Turtle Cheesecake, you can treat your sweet this Valentine’s Day with a winning dessert from antiquity. Preheat an oven to 425 degrees F (220 degrees C). Pour some water into a small, oven proof bowl, and place into the oven. Arrange the bay leaves over the bottom of the springform pan to cover. Beat the eggs in a mixing bowl, then mix in ricotta cheese, honey, orange zest and lemon juice. Sprinkle in the flour, and stir until evenly combined. Gently pour the batter over the bay leaves, being careful not to disturb them too much. Bake in the preheated oven until browned, about 35 to 40 minutes. Run the tip of a paring knife around the edges of the pan, and release from the springform pan. Invert onto a serving plate, and serve warm or chilled. 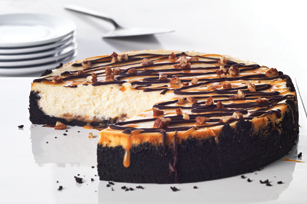 Click here to visit Kraft’s website for the easy and scrumptious Ultimate Turtle Cheesecake recipe. This entry was posted in Blog, Bon Appetit Wednesday, Culinary, Culture, Public Life, Sports and tagged ancient history, ancient recipes, AntiquityNOW, Bon Appetit Wednesday, cheesecake, Greece, Olympics, Rome, valentine's day. Bookmark the permalink.